Champion World Approval made a successful return to the races on Saturday when he captured the G3 Tampa Bay Stakes by a half-length. The 1 1/16-mile turf contest was intended to be used as a prep for the $6 million, G1 Dubai Turf on March 31, but as the Daily Racing Form reports, the gelding's connections have decided not to make the trip, and will instead stay a bit closer to home. Trainer Mark Casse told Marty McGee of the DRF on Monday that while World Approval came out of the race in good shape, he believes the distance of the Dubai Turf may be a bit too much for the gelding. World Approval will now be pointed to the G1 Maker's 46 Mile at Keeneland April 13, with a possible start in the March 10 G1 Frank E. Kilroe Mile at Santa Anita in between. 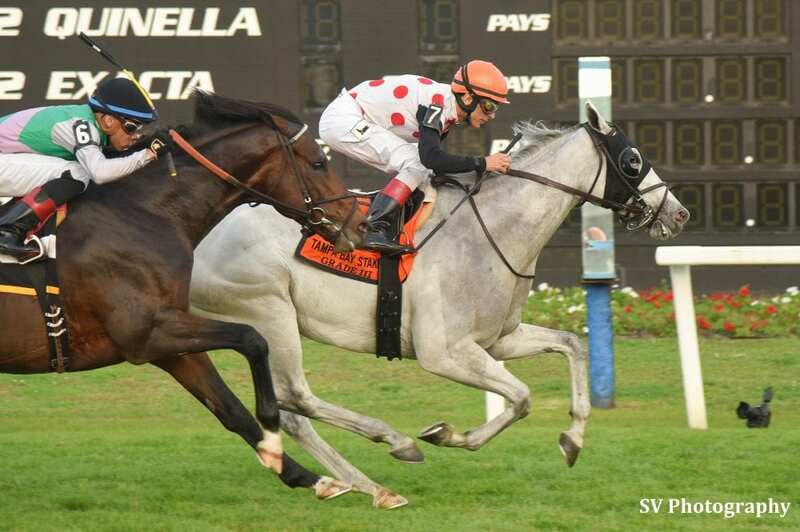 This entry was posted in NL List, Racing and tagged dubai turf, Horse Racing, Lambholm South Tampa Bay Stakes, tampa bay downs, tampa bay stakes, thoroughbred, World Approval by Paulick Report Staff. Bookmark the permalink.